String inverters are used for converting direct current (DC) into alternating current (AC). Strict government regulations towards the use of fossil fuels coupled with the soaring demand for uninterrupted electricity supply is stoking the growth of the global market for string inverters. In addition to this, the introduction of various schemes by governments to promote the adoption of renewable energy is working in favor of the market. Moreover, rapid technological advancements have resulted in improvements in power density and reduction in the component price of string inverters. This is, thereby, providing a fillip to the market. The rising adoption of decentralized systems in rural locations and areas with a shortage of electricity supply is also augmenting the global string inverter market. On the flip side, the lack of panel level monitoring is inhibiting the growth of the market. Furthermore, technical issues such as the reduction in efficiency of all panels due to shading of one panel and high heat loss due to large size are restricting the string inverter market from realizing its utmost potential. Besides this, the lack of awareness among people regarding government incentives towards the use of renewable energy technologies is negatively impacting the growth of the market. Key companies operating in the global string inverter market are pouring hefty funds into research and development activities to introduce novel and efficient products, which will help them in gaining a competitive edge in the market. Contracts and agreements are also commonly adopted go-to strategies by market participants in order to consolidate their position. String inverters are increasingly being used in ground power plants due to their advantages of higher electricity yield, no equipment room, simpler operation and maintenance, smaller carbon footprint, and more reliable operation. With diminishing coal and petroleum resources and the increasing importance of environmental protection worldwide, the use of renewable resources based grid-tied power generation technologies are becoming a global focus. In particular, in photovoltaic inverters (PV) in solar power plants, string inverters are reliable due to their low heat dissipation characteristic, which is predominantly important for determining the reliability of the PV system. The report provides an in-depth analysis of the global string inverter market for the 2017-2025 period based on market drivers, market challenges, and opportunities. The report also strategically analyzes the string inverter market with reference to individual growth trends of product manufacturers and service providers, their growth strategies and contribution to the overall market. 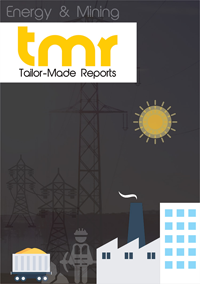 The report analyzes the global string inverter market from a competitive standpoint as well. The top players in the market are mentioned and are profiled for their distinguishing competitive attributes. The current competitive structure and how it is expected to change by the end of the forecast period is presented as well in the report. The growth of the string inverter market is attributed to factors such as easy installation and customization, drop in balance of system cost, and for removing system monitoring capabilities. Other than these, string inverters not only allow converting DC to AC power but are also capable for high voltage DC inputs. This is further boosting the market’s growth. The global string inverter market can be segmented on the basis of end-user, system type, power rating, phase, and geography. In terms of end-user, the market can be divided into the segments of commercial and industrial, residential, and utilities. Utilities is expected to be the largest end-user due to the increasing solar power production. On the basis of system type, on-grid is expected to dominate the global string inverter market until the end of the forecast period. Based on power rating, the market can be divided into 10 kW, 11-40 kW, 41-80 kW, and above 80 kW. Amongst these, the 41-80 kW segment is expected to lead the market as they are compact and light weight, thus provide enhanced design flexibility for PV plants of varied sizes and provide higher level of protection and enhanced durability in harsh outdoor environments. On the basis of phase, single-phase and three-phase are the segments of the market; of the two, three-phase is expected to lead the market due to the increasing installation of solar power systems in utilities in China, Japan, and other European countries. The global string inverter market can be divided into the regional segments of the Americas, the Middle East and Africa, and Asia Pacific. Amongst these, Asia Pacific is expected to hold the dominant position in the global market during the forecast period due to government initiatives for solar power generation, incentives such as feed-in-tariffs, policy support, and tenders and competitive bidding. On the other hand, the Americas is expected to be the fastest growing string inverter market among other regions. Some of the leading companies that operate in the global string inverter market are KACO New Energy GmbH, ABB Limited, Ningbo Ginlong Technologies, Fronius International GmbH, Huawei Technologies Co. Ltd., Delta Energy Systems GmbH, Chint Power Systems Co. Ltd., Samil Power Co. Ltd, and SMA Solar Technology.